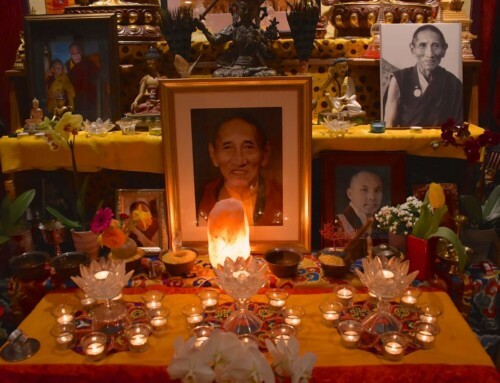 This picture is of my maternal uncle, Genpher Rinpoche. I recently received this picture from my Dharma friend in Taiwan and seeing this gave me a deep sense of joy. 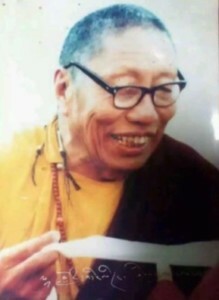 Genpher Rinpoche was from Dege Shechen monastery in Kham, Tibet. He was a highly learned scholar and a great practitioner. My beloved uncle Rinpoche is the most instrumental person in my life. His influence on me is profound, not just as a relative, but more so as my spiritual master. At an early age, he took me with him from Nangchen to Dege, and I lived with him for about seven years. He taught me to read and write in Tibetan and then he introduced me to my spiritual path. 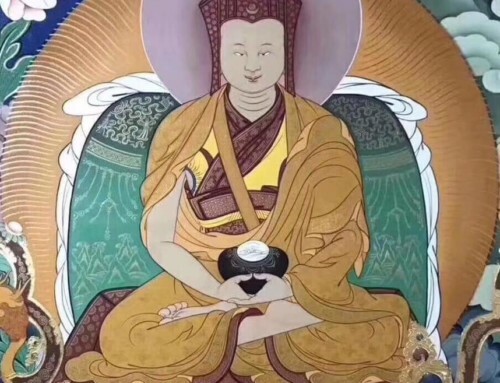 He was a Khenpo, a lama and a great practitioner and his teachings had great influence on me. I owe immense gratitude to him and whatever knowledge and experience I have gained today, I attribute it to his guidance and kindness. Growing up and training as a student, I remember his scolding, and at times, even received beatings from him when I was distracted from my studies. I remember crying after his beatings, but looking back, his compassionate intent have lead me on this precious path for which I am ever grateful. 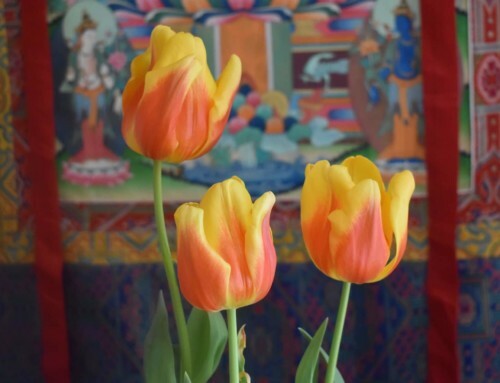 There is a Tibetan saying that a strong medicine is extremely bitter to taste yet is the most beneficial. When parents and teachers leave their children and students to do what they please, such laxity is not beneficial to them in a long run. Similarly, my uncle’s harsh mannerisms hurt me a lot then, but I now realize that they were the most valuable lessons for me. I received many teachings from my uncle and it was him who introduced me to the great sacred view teachings. Looking back into my life, there is no other to whom I owe greater gratitude than my uncle. In 1958-59, during the Cultural Revolution, he was imprisoned for twenty years. 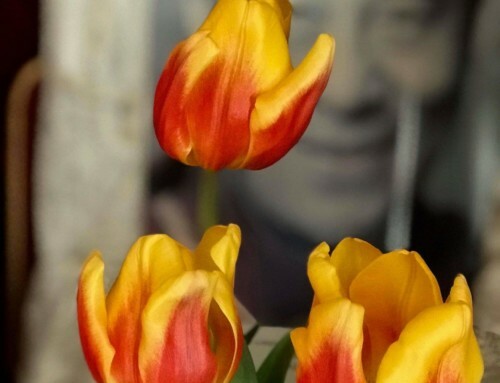 In prison, everyone considered him a great meditation practitioner, particularly a great Dzogchen practitioner. If he were alive and with me today, I would undoubtedly receive view teachings from him. 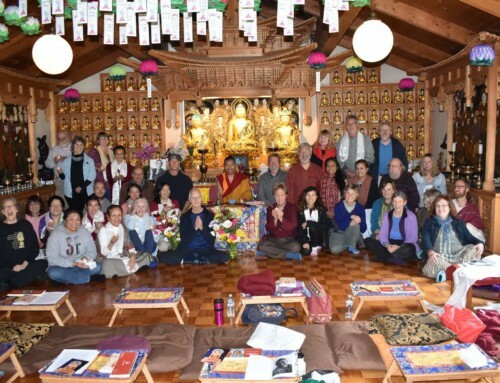 It is sad to realize that I did not receive many view teachings from him. Twenty-two years ago, at the age of 85, my uncle passed away. He was also a very good friend of His Eminence Dilgo Khentse Rinpoche. There was no camera at the time I grew up with my uncle and even if there was, taking a picture would have been insignificant, so when I received this photograph for this first time, I experienced an inexpressible delight and joy. As parents and teachers play a profound role in a child’s life, growing up my uncle was the most influential person in my life. Again, whatever I am today is because of his great kindness and in remembrance of him, I aspire that I may be able to follow his legacy of a great practitioner. Today, I miss him very much. Thank you so much for this wonderful story weaving together devotion, strong medicine, and priceless teaching.